Bojangles' aims to offer value with the launch of the new Pork Chop Griller biscuit sandwich for $1.99 at participating locations. 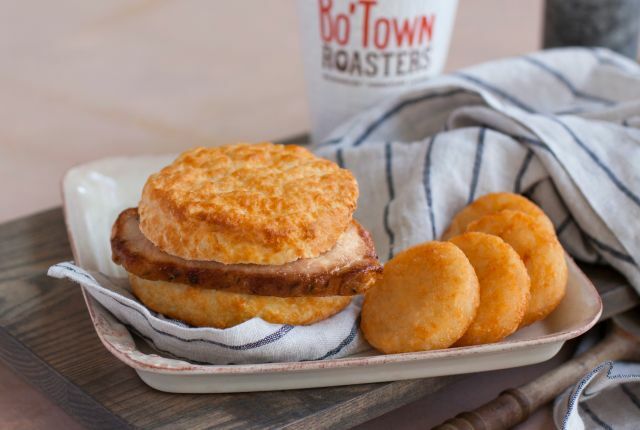 The new, limited-time breakfast sandwich features a seared slice of boneless pork chop with a new dry rub seasoning blend served inside of a made-from-scratch buttermilk biscuit. The concept sounds a lot like the (rather tasty) Grilled Pork Chop Biscuit that Carl's Jr. and Hardee's released back in 2015 (although that sandwich was $3.49).